Star Kulm Hotel, St Moritz. Hurtling down a natural ice run at frightening speeds is beyond exhilarating to watch, never mind do! 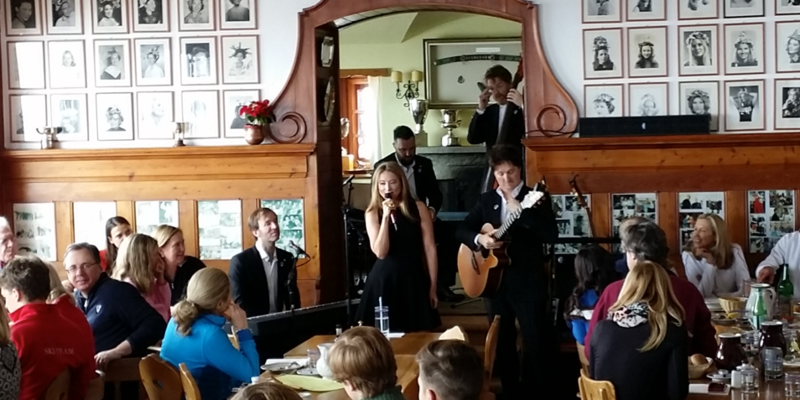 There was no better way for those involved in the Coppa d’Italia Cresta Club Tobogganing Race to unwind and celebrate as they listened to Miel and her band perform at the 5 Star Kulm Hotel in St Moritz. Spirits were high as the audience clapped along to the songs and showed enormous warmth. It was amazing, we had lots of fun with them! There was a flag hanging in the window that said it all – “I am Italian and I cannot keep calm”. The Swiss ski resort of St Moritz holds a special place in Miel’s heart as she spent many childhood holidays there, as did her mother as a child. It is also the snowy setting of the video for her single 'Dazzle Me Diamond'. You can watch the video for Dazzle Me Diamond here. 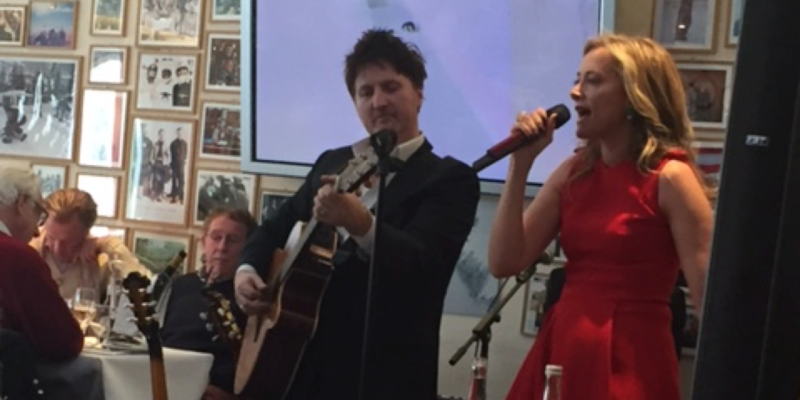 Miel and the band stayed on in St Moritz after the Coppa d’Italia to perform at The Corviglia Club for members and guests. The Corviglia Club is a private members’ club that hosts winter events every year – and is quite a challenge to reach, especially when transporting heavy instruments! It took two trains and a steep climb to reach the club, but in the end, it was the sheer altitude and the view that was breathtaking. 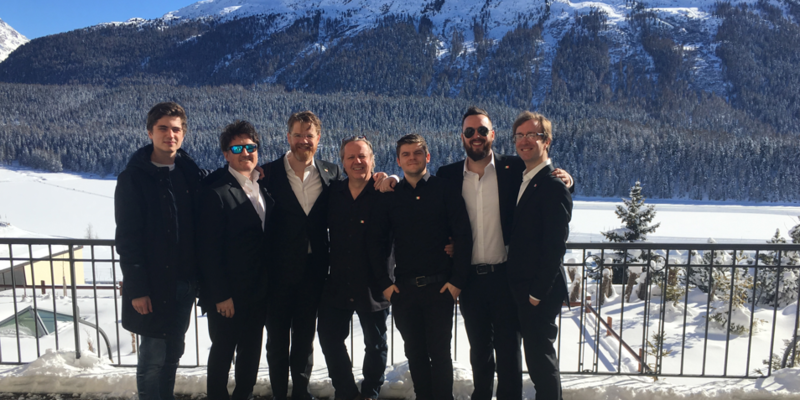 It was another enthusiastic and joyful audience who enjoyed the music in the dazzling snow-covered mountains of St Moritz, where more fond memories were made. 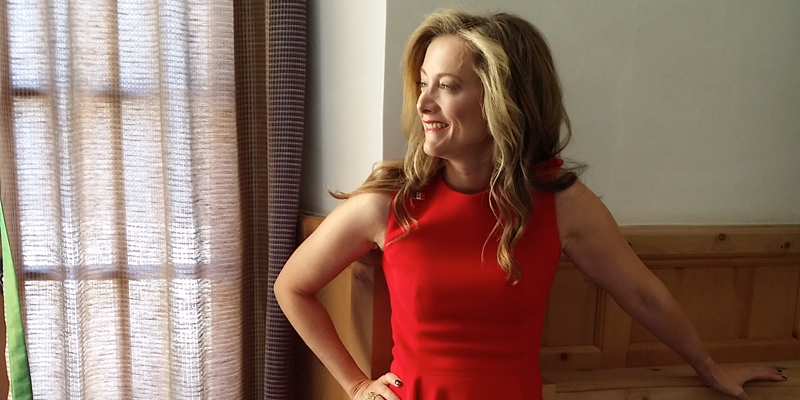 Subscribe below for the latest news, announcements and performances from Miel! © Miel Creations Ltd. 2019. All Rights Reserved.